This workshop in full immersion with Alec Soth aims at developping the aptitude of the participant to carry out a photography assignment in an institutional context. This experience will allow the participant to develop his/her capacity to produce a photographic work in a given location and throughout a given limited time period. 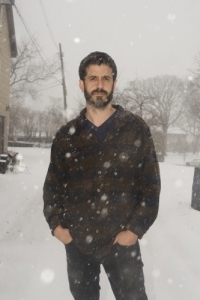 Alec Soth was born in 1969 in Minneapolis, Minnesota. He studied at Sarah Lawrence College in Bronxville, New York. Soth received international acclaim when his photographs were featured in numerous solo and group exhibitions, including the 2004 Whitney and São Paulo Biennials. Soth’s photographic style has continued to develop in subsequent series beginning with his iconic Sleeping by the Mississippi, and including NIAGARA, The Last Days of W and Broken Manual. Soth uses his large format camera to photograph the people and landscapes of suburban and rural communities, often during road trips throughout the Midwest and the South. Soth’s photographs have been featured in numerous solo and group exhibitions. In 2016, Soth’s Gathered Leaves, an exhibition bringing together his four signature series – Sleeping by the Mississippi, Niagara, Broken Manual, and Songbook, traveled to a number of institutions, including The Finnish Museum of Photography in Helsinki. 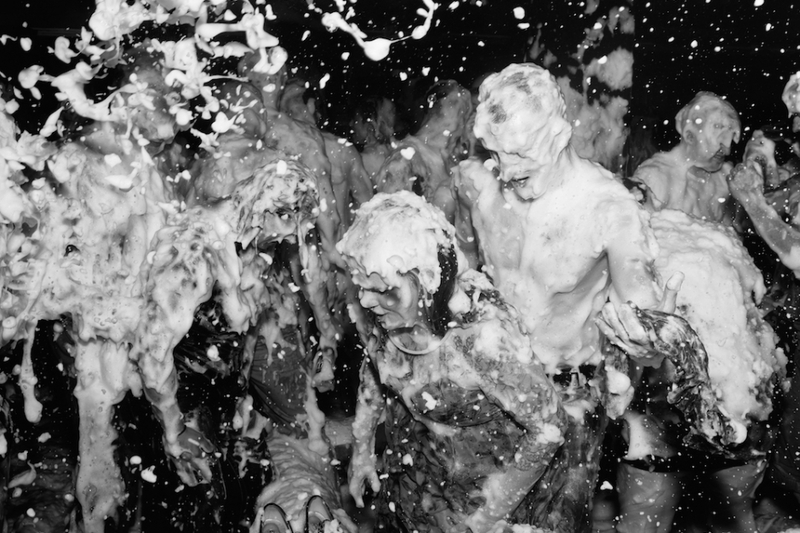 In 2008, a large survey exhibition of Soth’s work was exhibited at the Jeu de Paume in Paris, France and Fotomuseum Winterthur in Switzerland. In 2010, the Walker Art Center mounted a comprehensive exhibition with an accompanying catalogue entitled From Here To There, Alec Soth’s America. His first monograph, Sleeping by the Mississippi, was published by Steidl in 2004 to critical acclaim. In 2008, Soth started his own publishing company, Little Brown Mushroom. Since then Soth has published NIAGARA (2006), Fashion Magazine (2007), Dog Days, Bogotá (2007), The Last Days of W (2008), Broken Manual (2010), Songbook (2015) and Gathered Leaves (2015), which brings together an essay by Aaron Schuman spread across 29 large format postcards, with mini facsimile versions of 4 of Soth’s previous books [3 of which are now out-of-print], all housed together in a luxurious printed and embossed clamshell box. His work is in the permanent collections of numerous museums, including the Brooklyn Museum of Art; the Los Angeles County Museum of Art; the Museum of Contemporary Art, Chicago; the Museum of Fine Arts, Houston; the San Francisco Museum of Modern Art; the Walker Art Center, Minneapolis; and the Whitney Museum of American Art, New York, to name a few. Soth is also a member of Magnum Photos. If you want to be kept informed about Alec Soth, you can go on Facebook and add Eyes in Progress or his own page to your list of interests. By illustrating his presentation with hiw own projects, Alec Soth will explain how to make the best choice of the right angle of the subject – paying attention to one’s experience and to previous works. He will evoke environment related constraints and the way to take them into account to perform the work. He will provide the participants with key-factors and suggestions. Back indoor, exchanges about the reconnaissance carried on and identified constraints. Final choice of projects with Alec Soth. Every morning, Alec Soth will make a presentation of one of his projects or of some significant aspect or her professional cursus. The goal of these sessions is to inspire the participants in the realization of their own series. Every trainee goes outdoors to shoot their subjects. Participants come back to the training facility as soon as they can, in order to get a critical review and improvement suggestions of Alec Soth. Through a selection and a discussion with Alec Soth around the best pictures of the day, participants will work at developing their series and improving their global approach of the subject. Exchanges in group on shooting and associated problems such as encountered. Synthesis and solutions, presented by Alec Soth. Working language: English (depending on the audience). - The 2.200€ fee includes accommodation and meals. It does not include transport nor on the ground other expenses. For participants coming from outside the European Union, please be aware that there is a bank fee when making the payments via bank transfer, you may avoid them by using alternative platforms such as Payzen or Transferwise. > If you apply before April 3rd, 2018: successful applicants will be informed via email by April 5th, 2018. > If you apply after April 3rd, 2018: successful applicants will be informed via email by May 5th, 2018. Applications will be open until May 3rd, 2018.